I was honored that author Tasha Donahue reviewed my book, Through God’s Eyes: Finding Peace and Purpose in a Troubled World, on her blog. Here is her review. I stumbled across this book at a Publishers and Writers meeting in San Diego. 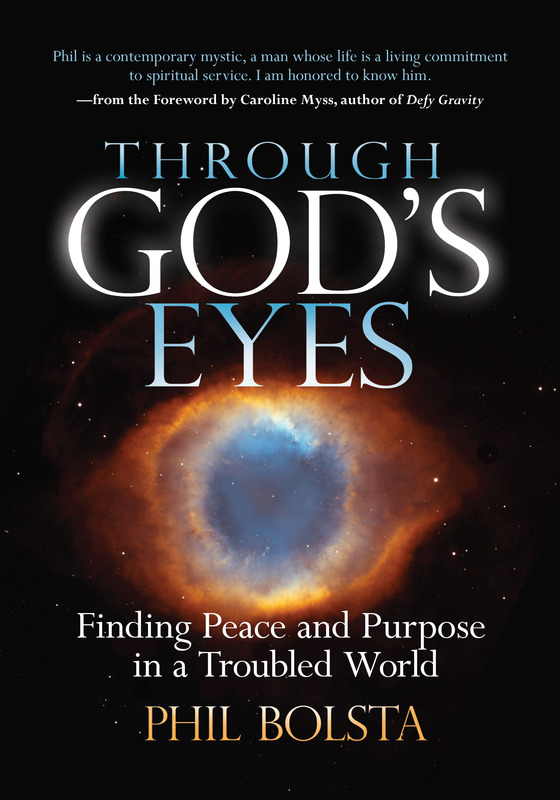 I was struck with the title, “Through God’s Eyes,” and a photo of the cosmos dramatically resembling an eye. WOW! I thought, what was inside? While I rarely review books, this is one I had to share with my readers, most especially as I recently spoke of better ways to handle your time and money at the holidays than avoiding a laser gun on Black Friday or spoiling your children with too many gifts. I admit it. I’m nervous. Today I’m kicking off the crowdfunding campaign for my book, Through God’s Eyes: Finding Peace and Purpose in a Troubled World. The above video explains why I’m launching the campaign and why it’s so critical to the success of the book and to changing people’s lives for the better. All money raised will pay for the promotional costs necessary to launch this book further into the world. Whatever funds I receive in excess of this goal will help me do even more to promote it. • Why should I care about this campaign? • Everyone thinks their book is a masterpiece. Why should I put my trust in you? • Do I get a free gift for making a donation? • Is this a good book to give as a gift? • What exactly are you going to spend the money on? Tonight at the annual San Diego Book Awards event, my book, Through God’s Eyes: Finding Peace and Purpose in a Troubled World, won first place in the “Spiritual and Inspirational” category. It was a fun evening. There were a couple hundred people in the auditorium and the format was like the Oscars. For each category, three finalists were announced and then the winner. Winners walked up onstage to collect their award and say a few words. It was a full house for my book reading at Kathryn Harwig’s Intuitive Forum tonight! I was pleased and privileged to speak tonight at Kathryn Harwig‘s monthly Intuitive Forum gathering in Maple Grove, Minnesota. I had interviewed Kathryn, a respected author and healer, for my book, Sixty Seconds: One Moment Changes Everything, and had sought her wise counsel while writing my new book, Through God’s Eyes: Finding Peace and Purpose in a Troubled World.